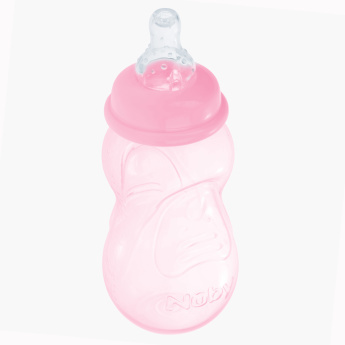 Nuby Non Drip Feeding Bottle - 210 ml | Pink | Bpa free. Let your baby have milk in this hygienic BPA-free bottle. It is specially designed with the non-drip system and is absolutely safe for your baby. Feature 2 : Non Drip system. Feature 3 : Anticolic System.